What is a Stopover or Open-Jaw? Each Aeroplan award can have 1 open-jaw OR 1 stopover. The best way to understand this rule is the picture above. There must be a closed circle made up of 3 (or 2) one-way journeys. It must be a concept of A-B//B-C//C-A. In future posts I’ll talk about how other programs such as United MileagePlus, Delta Skymiles and American AAdvantage allow 1 open-jaw AND 1 stopover and how we can really exploit these for free one-way tickets. 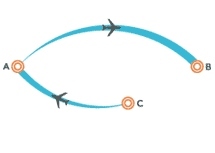 One-way flights are really the building block of all the roundtrip flights. On the Aeroplan award chart, the 1-way flight is more than ½ the price of the roundtrip. This incentivizes us to try to make our trips round-trip where possible. When I talk about one-way flights, this does not necessarily mean direct flights. One-way flights refer to a single origin and a single destination, with no point of turnaround. I can buy a one-way flight from Halifax to Vancouver. There are no direct flights that operate on that route, so I would have to connect (for example in Toronto or Montreal). There are 2 distinct flights (Halifax to Toronto followed by Toronto to Vancouver), but it is still considered a one-way. In this situation Toronto would be considered your connection airport. 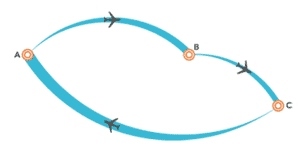 As noted above, you can have a connection on a one-way itinerary but you can not have a stopover on a one-way. There are very few restrictions around what constitutes a valid open jaw as long as you maintain the same concept of going in 1 direction then turning back. You can make up part of that trip “on the ground” if you want, but the integrity of the roundtrip concept must be maintained. Knowing that you are allowed 1 open-jaw on an award itinerary allows you to look at alternate airports for ongoing travel when your ideal flights are not available for award redemptions. Why the limit on Open-Jaw? The reason that Aeroplan imposes a limit of 1 open-jaw OR 1 stopover on any given round trip itinerary is to prevent people from adding unrelated 1-way flights to their itineraries. Other airline programs, such as United Mileageplus, American AAdvantage and Delta Skymiles allow at least 1 open-jaw AND a stopover on the same award, which can be exploited to get free one-ways. I will discuss these in future posts. As I mentioned earlier, Aeroplan allows one stopover OR one open-jaw on any redemption. This limits our ability to really exploit this for unnatural usage. The real way to take advantage of the open-jaw rule is when you are considering buying a 1-way award flight. This is because one way flights cost more than 1/2 the price of a roundtrip.If you are buying a long haul 1-way then you can add an extra 1-way for only 8K Aeroplan miles. A little known glitch in Aeroplan’s booking systems prices some awards incorrectly. Sometimes roundtrips consisting of 1 long haul and 1 short haul are pricing out at the same price as a long haul one-way. If you are buying a long haul 1-way, then you can essentially add a free (only pay additional taxes) short haul 1-way to make your open jaw. You live in Toronto, and go to Calgary regularly. You are traveling one time Toronto to Vancouver and are going to book that flight for 17K Aeroplan miles. 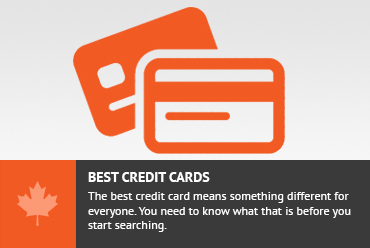 This example will take advantage of the glitch in the Aeroplan system that sometimes works. You live in Toronto and are going to Halifax for the weekend. You have found space on the Toronto-Halifax route, but there is no availability on Halifax-Toronto. You are indifferent between Buffalo and Toronto airports for this trip. This routing takes advantage of the fact that Buffalo is in New York State. Flights between Nova Scotia and New York State are considered short haul. Flights between Nova Scotia and Ontario are considered long haul. This is a way to exploit that difference when Ontario and New York State are so close. Each route has a maximum distance that can be travelled while the route is legal. The Maximum Permitted Mileage (MPM) for a route usually can be exceeded by 5% for Aeroplan award flights but beyond that, a routing will be illegal. There are some paid services, such as the KVS tool or the Expert Flyer that will tell you what the MPM is for any routing. Also, you can check the Star Alliance website. In general, the MPM is pretty liberal. If an 8-year old looking at a map could tell you your stopover point is in the wrong direction, your routing is probably illegal. Backtracking is the act of going backwards in your journey. Basically, this means that on each 1-way, you have to move in a general direction. This is mostly a problem when picking a stopover city that is not a hub city. Great article and I certainly learned something. But I thought you are allowed two stop overs? But I’m unable to book that with their online system, so does that mean I have to call in for that? I’m planning for a YYZ – BKK, BKK- HKG, HKG-CDG, CDG-YYZ, that sounds valid? In terms of your question, there is a new allowance for 2 stopovers soy you can do that, but you have to call that in. Hello – I am wanting to book travel using Amex points/aeroplan points from Toronto with a stop in Houston and then onto kona, HI – with an open jaw leaving from another HI island. Do you have any recommendations for making this happen? I understand only one open jaw or stop over is allowed per round trip. I am interested in flying with United to keep the surcharges and additional fees lower. Having said that you indicate that with United you can get one open jaw and one stop over per round trip. Can you expand on this? Thank you so very much for your time. Unfortunately, Aeroplan will not allow this routing as it appears to be 2 stopovers + destination. What you will want to do is close out the separate ticket KOA-OGG, by adding an OGG-KOA to pick up your KOA-YYZ flight. Unfortunately that is one of the frustrations of this. Now, for international awards, you are allowed 2 stopovers including the point of turnaround. So if instead of being in Hawaii, you were in Europe, this would be allowed. Those trips all have to be called in. What I would suggest for you to do would be to call in to Aeroplan and have a bit of a sob story and claim that Hawaii is not North America because the zone is different. Finally, if you are struggling to find a routing, please email me an award travel booking request and I’ll be happy to investigate it in further detail for you for the fee. I am sure there is something that can be done to make this work out to get you waht you need. Is the lay over in Istanbul legal? Unfortunately, that is not going to work. You can do FCO-IST-IAD as your return, but since you are stopping in IST, they are going to say that your “destination” is IST, and you stopped on FCO on the way to IST. but they will charge you for Europe 2. You might be better of using United miles or US Airways miles as they call all of Europe the same price. You will also likely save on taxes / fees but that depends on the specific carriers. What other miles have you got? This is a great site! I am trying to figure out how to utilize my Aeroplan points to fly to and within Europe this Summer. Otherwise, I was hoping to visit Berlin after Dubrovnik for a few days before flying back to Calgary. You are going to want to try to piece your trip together leg by leg to get yourself from Calgary over to Europe. There is actually a new rule that states you can take 2 stopovers en route for the international trip, although you should be aware that I have really struggled with getting the stopover rules to be consistently enforced. I would suggest you look at routing your trip as a A-B//B-C//C-D// D-A. Build your overseas portion of your itinerary first since that is going to have tougher availability. Once you have that, then find your internal flights. Put it together, then call it in to Aeroplan. The multi-city tool on Aeroplan.com may or may not work for your itinerary and often doesn’t give you every option available. First off, target your overseas flight, then look at where you can get internal flights that work for you. Using Aeroplan miles, you are going to want to avoid certain carriers, including Air Canada and pretty much all of the European ones. These ones charge fuel surcharges which can be very high. Unless you are married to flying the direct flight YYC-LHR on Air Canada, you are going to have to take a connection en route. You would save significant money (in fuel surcharges / taxes) by routing through the US on United planes. For your internal Europe flights, you will want to avoid Lufthansa and Austrian. I suggest targeting the use of Swiss Air or Turkish Air, Croatia Air, SAS and Brussels Air as they don’t charge the surcharge. Finally, if you are really struggling to figure this out, please send feel free to partake in my award booking service. 150K is going to be enough for a roundtrip North America to South Africa in business, according to the award chart. 160K will get you enough for a roundtrip North America to Australia in business. That means that 150K wont be enough to get you to Australia in business. Assume you have 160k, then you can route this however it makes sense for you. You would get [2 stopovers] or [1 open jaw and 1 stopover] with any routing. That would essentially mean 4 cities that you can as destinations. Toronto, Capetown, Sydney are spoken for. You can add something in Europe if you like. Now, all of this information is in line with the letter of the law of Aeroplan’s written rules. You will have to call this in and you may have a tough time getting an agent to ticket it for you. I have often needed several attempts to get a valid routing ticketed. Excluding the City A in Europe might help you out. Great article – any idea on valid stopovers on a trip to Australia? I can’t seem to get a valid. One of the ideas was to hit Bali or Fiji as a stopover, using either Melbourne or Sydney as the Australian destinations. are these destinations a valid combination?? All of those should be valid combinations, but booking things through the Aeroplan website will be tricky. One of my biggest frustrations with Aeroplan awards is that the rules are written but sometimes you can’t get anyone to book it even when the award is valid. I would say try calling it in and they should let you book it. It seems like Aeroplan now allows United flights to have stopover in a domestic itinerary. Just did a dummy booking for YYZ-ORD(SO)-DFW-YYZ without a problem. Is that routing feasible at all? Or is it something that I’ll have to call in? Unfortunatley, you cant do that. You have to maintain A-B-C-A routing or A-B//C-A routing. In this case, there are too many. then do BOS-PHL as a side trip on your own. Have a great time in Boston and Philadelphia. Those are my 2 favorite cities in the US. I really miss those Philly Cheesesteaks. Thank you so much! I really appreciate this – this will be my first time redeeming an Aeroplan flight so the terms and conditions are a bit overwhelming for me. Can I use my aeroplan points to fly one way to Toronto and two hours later use my points to fly from Toronto to Shanghai? This is to avoid a 13 hour connection time if I book it as a one way from Montreal to Shanghai. By the way Aeroplan has the worst customer service of any business I have ever dealt with. There is no point in trying to get them on the phone, no way to email them and Air Canada does not have the information I need. Thanks. Don't subscribe All Replies to my comments Notify me of followup comments via e-mail. You can also <a href='https://www.creditwalk.ca/comment-subscriptions/?srp=493&srk=2648578ecea05c83754707575dc5a494&sra=s&srsrc=f'>subscribe</a> without commenting.